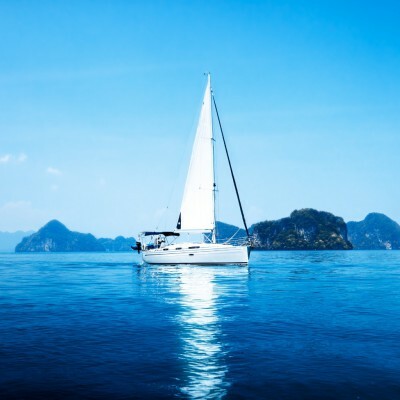 Horse Latitudes – What Do Horses Have to Do With Sailing?! Like many kids around the world I was also a great fan of books, comic books and films about legendary pirates and sailors. I also dreamt about hidden treasures, the curses of dead captains and bewitched ships. Living in a world of fantasies provoked by those tales I never really paid extra attention to some relevant sailing terms and manners. In times before sophisticated meteorological instruments and satellite communication sailors had to rely on the patterns of prevailing winds and currents when planning a route across the oceans. So they learned that there is an area where variable and mostly calm winds prevail. It is the area between 30° and 35° both north and south of the equator. These areas are also known as subtropical highs because they are under a ridge of high pressure which gives it too little air precipitation for a wind that could propel the vessels of medieval heroes from my pirate stories. So their first month of the service has been already paid but not executed. At the end of the first month of the service they used to perform a ceremony onboard, mostly in the windless areas where they were free of work. The ceremony consisted of parading along the deck with a straw-stuffed horse-like dummy before it was beaten and thrown overboard. On the other hand, Spanish sailors would take horses on their voyages to South America and West Indies. Their ships were very often becalmed in subtropical highs which prolonged the journey and caused shortage of water and food. Therefore, they would throw dead or dying horses overboard or even kill them in order to save some water. The names Calms of Capricorn in northern hemisphere and the Calms of Cancer definitely come from astrology and the star systems visible on the skies in these areas, not with crabs and goats for sure! One way or another I learned that horses have something to do with ocean sailing after all. At the end of the day, it was nice to get back in the days of childhood while writing these lines and sharing them with you.